In this world of ever-increasing technology it is usual for each household to have a number of digital items. From televisions to radios to iPads and laptops - if you are moving house to Swiss Cottage there will probably be a few pieces of equipment that will require specialised packaging in order to protect them and ensure safe transportation. It is a far better option to spend a few extra minutes wrapping your items properly and carefully, than damage them in transit and end up having to replace them expensively. The starting point will be to wrap them very carefully in styrofoam sheets, or bubble wrap, or newspaper if neither of those are available. Make sure that every exposed edge is covered against even the slightest bump, and secured firmly with tape. Once everything is as cushioned as it can be, you can then start to load the box(es). When you begin to put things in, it is very important to remember a few basic guidelines. Plasma televisions must be stored upright, in order to prevent the screen from running. Obviously once the item is packed it may not be immediately obvious which way is upright so it’s best to clearly mark top and bottom. Also ensure that nothing is pressed against any screens because they are likely to get damaged. When packing several digital items together tio move them to Swiss Cottage, NW3 it is wise to put a thin layer of cardboard around, or in between each one, to ensure they remain separate. Also bear in mind that you will want to make life as easy as possible for yourself at the other end of the moving journey. Therefore, take care to tape the correct remote controls/accessories together for each device and keep the whole lot together. The same goes for the electrical leads, cables - or indeed anything which needs to be with a particular appliance. Secure them together firmly and then LABEL! There is little more frustrating than having your television all set up and connected and not being able to use it because the remote control has gone missing in amongst the move. It will quite likely to take you weeks to find it, especially as most people in the NW6 don’t unpack every box within the first month. Then once you are certain that the box is packed appropriately and securely with the contents arranged safely and cushioned against accidental knocks, make sure that you mark each box very clearly. Removal men in Swiss Cottage will always take particular care over boxes of fragile equipment – but only if they know what’s inside! These boxes will also need to be kept out of the rain, away from puddles or ponds or swimming pools. Any slight accident is likely to destroy the lot. Take a black marker pen and write clearly “Electrical items” on each side in large, capital letters. But also beware not to advertise exactly what is in each box as if any storage is needed, or shifting of boxes from one lorry to another, an unscrupulous individual could take advantage of knowing where all of your valuable electrical items are stored. And lastly, think about how you load them onto the lorry or van. Put them in last and as high as possible. 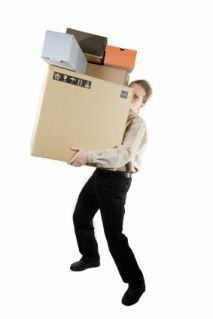 Certainly do not leave any scope for heavy items or boxes to be shoved in on top of them. Proper preparation, thought and consideration can really ensure that your digital equipment items survive your move to the NW3 region unscathed.